Userfriendly online solar Calculation and Simulation of solar thermal systems with Oventrop solar panels. For domestic and commercial pre-sizing. the sizing of its main components according to the monthly, weekly and daily hot water consumption profiles, the solar site survey, the shading, orientation and tilt losses, the optimal position of solar collectors located on sloped roofs, the annual solar energy production (taking in account losses) and its key profitability indicators, (IRR and NPV). taking into account surrounding trees, buildings or other sources of shading. No Online help is available. Viessman ESOP Online for Viessman collectors and systems. Online Solar Calculation and Simulation of Solar Thermal Systems. Results: Solar Yield, Solar Fraction, Efficiency, Collector Area, Storage Tank Volume. Free online sizing software to calculate hot solar water systems output. 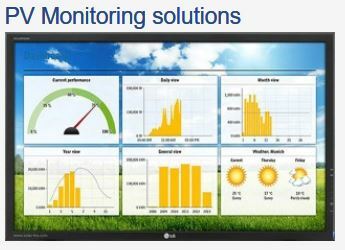 This software compute the energy output according to location, water needs, type and volume of water tank, collectors area, slope and azimut.